Krunchworks is a design-focused custom metal and wood studio in Akron, Ohio. We can produce unique signature designs or bring to life your projects through insightful build experience. as well as individual homeowners or business owners. Let us develop a smart and unique design for any project including furniture, lighting, signage, store fixtures, bike racks, etc. Or, let us collaborate in bringing to life your project by producing your designs tailored to your clients and your design scheme. We can turn concept designs into working CAD models for production and fabrication. We can also turn CAD models into realistic renderings showing materials, finishes, lighting, and environments for realistic visualizations or proposals. We can take your final designs to the table and build everything from scratch using traditional tools and materials, advanced equipment, as well as state-of-the-art laser or water-jet cutting. 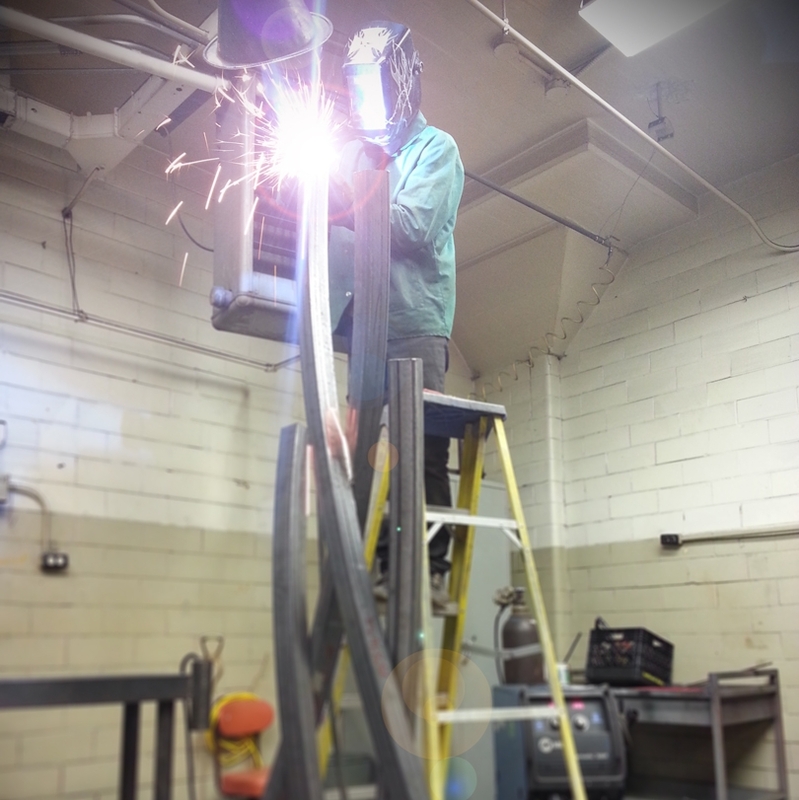 We can deliver in concept, design, fabrication, as well as in quality installations of your custom pieces or displays. We believe good design should go into every aspect of your custom project.